Canned mandarin oranges sat in their own sauce for a bit too long. Apparently they landed at the back of Dan’s fridge, where all good foods go to die. 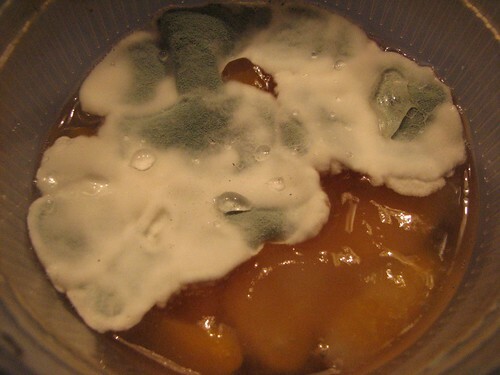 The mold here is like carpet, a thick layer on top of the otherwise normal looking oranges.